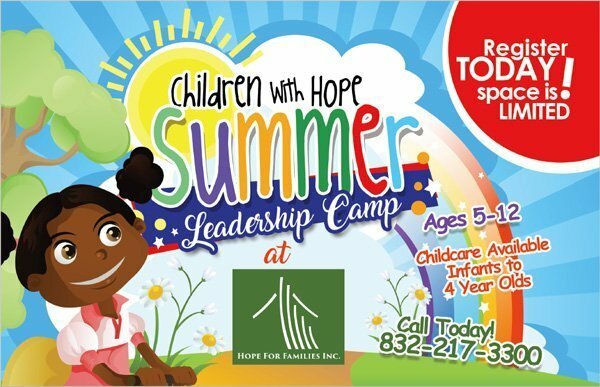 Hope for Families will be hosting their Summer Leadership Camp during the weeks of June 3rd – June 28th, July 8th – July 31st, and August 5 – August 23rd. Register online TODAY as space is LIMITED. 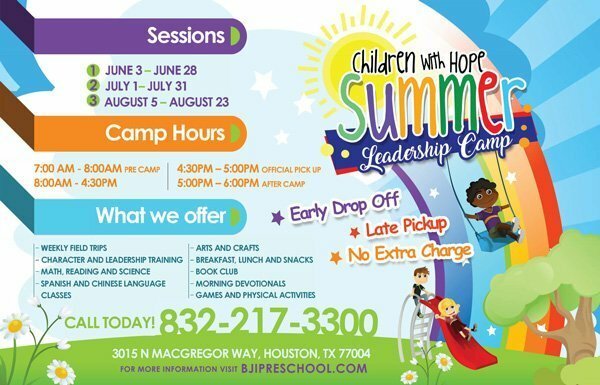 For children 4 and younger, please call the Barbara Jordan International Pre-School by calling 832-217-3300 or visit bjipreschool.com.